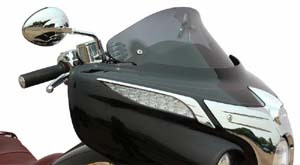 WBB-300: eGlideGoodies expands it's custom windshield offerings to now include the Indian Roadmaster and Chieftain. 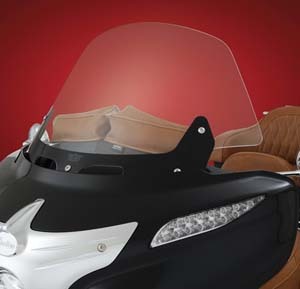 Known for its ability to create great touring windshields and improve the riding experience, introducing a larger touring windshield that provides a better riding pocket. 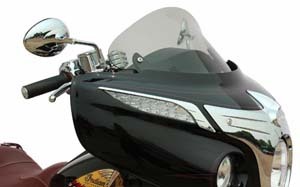 With a 6'' wider envelope and an additional 1 ½'' in height, the WBB-300 Windshield for Indians is 30% larger than OEM. For 2014 and newer Roadmasters andChieftains. Made in USA. 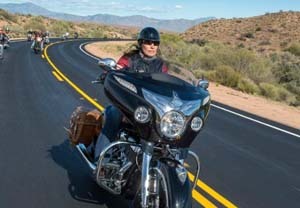 WKI Style: A new standard in touring comfort and style for 2014+ Indian Chieftain and 2015+ RoadMaster riders! 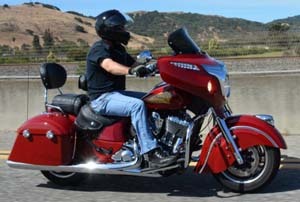 The flare style for Indian installs easily using stock mounting hardware, and maintains stock windshield height adjustability. The WKI style not only looks great, it performs even better. The innovative design features “hips” at the outer edge of the shield that re-route the air to add downforce and aid stability. The “flip” at the top sends clean, less turbulent air to rider and passenger. Made from hard coated polycarbonate for outstanding impact strength. Available in two heights, and tint, dark smoke, and black color options. Available in two heights (short and tall) and three tint options (tint, dark smoke, and black). Short windshields have a height of 10" and the tall is 12". 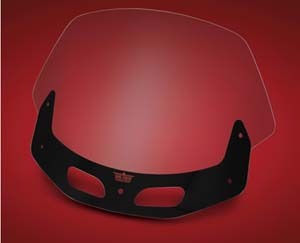 WLI Style: You are embarking on an eye-opening look at the latest in motorcycle windshield technology. A unique design with a wind combination that deflects the wind blast from your face and chest area and makes your ride more comfortable and less tiring. The top of the screen should be approximately mouth level while you are sitting on your bike (comfortably out of your line of vision). How do I measure for my Bagger? Sizes are measured from the top of the fairing. Our aero dynamically designed windscreen performs 3 to 4 inches taller than it is. Bigger isn’t always better with our screens.